ICEMA receives its seventh and eighth National Association of County Organizations (NACo) awards since 2012. Statewide EMS Data Repository: ICEMA and the Emergency Medical Services Authority (EMSA) worked together to create a statewide data repository for the collection and reporting of EMS data. The initial purpose of this project was to create a standardized statewide repository of EMS data. The goal was to provide a cost effective way to collect EMS patient care and hospital trauma data, allow access to a records management system for smaller LEMSAs that could not afford their own system and support a mechanism for the reporting of information to the National Emergency Medical Services Information System (NEMSIS) for national benchmarking. Integrating EMS and HIE: The Health Information Exchange (HIE) is the mobilization of health information between organizations and healthcare providers that is designed to unify the entire patient’s medical history and make it readily available for medical providers to review. EMS data has not traditionally included in the HIE. This pilot project demonstrated how EMS data could be integrated with other provider’s healthcare data in HIE so EMS data could be viewed as well. The project included the planning, development, implementation and testing of the infrastructure that was required for the eventual integration of EMS data in the HIE. 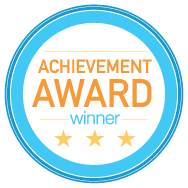 ICEMA receives three NACo Achievement Awards for innovative and money-saving programs from the National Association of Counties (NACo). Medical and Health Operational Area Coordinator (MHOAC) Program: The program provides detailed guidance to the Inland Counties Emergency Medical Agency , Department of Public Health, and Department of Behavioral Health staff responding to medical and public health emergencies. It follows the principles of the Incident Command System, the National Incident Management System, and California’s Standardized Emergency Management System. The MHOAC Program is based on guidance described in the California Public Health and Medical Emergency Operations Manual adopted in July 2011 by the California Department of Public Health and the California Emergency Medical Services Authority. Continuation of Specialty Care Program: Trauma, stroke and heart attack represent a significant consequence to health and remain three of the top 10 causes of serious injury and death in the United States. Considering the diversity of the geography and the remoteness of many areas of the county, accessing specialty medical care for specialized treatment is often difficult. The ICEMA Continuation of Specialty Care Program is designed to deliver these patients to a hospital with specialized services since rapid and definitive care at a specialty care center often means the difference between survival, lifelong disability or death. The improvement in time to treatment reduces morbidity and mortality and improves the quality of services provided to residents and visitors. EMS Credentialing Portal: ICEMA implemented a paperless online EMS Credentialing Portal to complete credential applications from any location at any time. Emergency medical services personnel are credentialed by ICEMA to practice in San Bernardino, Inyo and Mono counties. The credentialing process required personnel to visit ICEMA’s office during normal business hours to submit a paper application and payment, which took about an hour. The online process improved efficiency by allowing staff to review and issue new credentials in less than 15 minutes. The process ultimately reduced costs and enhanced overall customer satisfaction. San Bernardino County wins three prestigious awards from state organization: Automating hospital referral records, improving the quality of health care for patients and streamlining access to services for the homeless are three of the outstanding County programs recognized Tuesday by the California State Association of Counties. Three 2015 CSAC Challenge Awards will be presented to the County’s Information Services Department, Inland Counties Emergency Medical Agency (ICEMA) and the Sheriff’s Department at an upcoming Board of Supervisors meeting. The CSAC Challenge Awards are part of a competitive recognition program that honors the best and most innovative among California’s 58 counties. This year, CSAC received more than 250 entries and judges awarded 40 programs throughout the state. Automated Referral Tracking System - Information Services Department: The Automated Referral Tracking System is a web-based system designed to assist doctors and medical staff at Arrowhead Regional Medical Center to efficiently track and manage referrals on a daily basis. Prior to the ARTS system implementation, referrals were handled in a manual process, backlogged and in some cases got lost. Now medical staff has eliminated the backlog and the possibility of a lost or dropped referral is down to zero. ICEMA Continuation of Specialty Care - ICEMA: ICEMA designed a program for EMS providers to recognize the specialized needs of patients - particularly those with trauma, stroke and heart issues - and deliver them to a hospital that is best able to treat their needs. Through the end of 2014, approximately 25 percent of 8,000 patients included in the ICEMA registries with these specialized needs were transferred to specialty care and half of those transfers were made in under an hour. Now patients that may have otherwise had to wait longer for transfer to an appropriate medical facility will not have to endure a delay in treatment. The Homeless Outreach Proactive Enforcement (H.O.P.E.) program - Sheriff’s Department: The H.O.P.E. team is a collaborative effort among law enforcement and public agencies to accomplish a more meaningful and efficient response to homelessness. Deputies team up with mental health clinicians and conduct outreach to the homeless. Integrating resources such as the Department of Public Health, Behavioral Health, Housing Authority, Veterans Affairs and Code Enforcement has made it possible for deputies to link the homeless with services or shelter, instead of simply relying on arrest and incarceration to solve the problem. Since July 2013, the H.O.P.E. program has contacted more than 820 homeless people and obtained housing for 110 people and linked 400 others to some form of assistance. ICEMA receives its third NACo Achievement Award in 2014. ICEMA Health Information Network: ICEMA developed the ICEMA Health Information Network to provide a centralized access and collection point for the accumulation of prehospital and specialty care documentation, ensure data consistency and interoperability between EMS providers and analyze and improve prehospital care provided throughout San Bernardino County. ICEMA receives its second NACo Achievement Award in 2013. Neurovascular Stroke Receiving Centers: The goal of the Neurovascular Stroke Receiving Center (NSRC) Specialty Program was to improve the care provided to patients in the ICEMA region by establishing a system for the rapid identification of stroke patients and transport to facilities that had demonstrated an ability to provide definitive neurovascular care and a commitment to identify opportunities for improvement and education. ICEMA receives its first NACo Achievement Award in 2012. Cardiovascular STEMI Receiving Centers: The goal of the ST Elevation Myocardial Infarction (STEMI) Specialty Program was to improve the care provided to patients by establishing a system for the early recognition and prompt transport of patients to specially designated hospitals. The program recognized facilities that demonstrated an ability to provide definitive cardiac care using appropriate interventions and a commitment to identify opportunities for improvement and education.